The Lantern Foundation, established in December of 2012, is a US based registered 501c(3) private foundation. 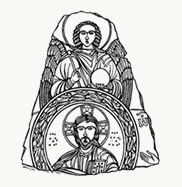 The mission of the foundation is to provide financial support to religious and community service organizations, particularly those related to the Ecumenical Patriarchate and other entities organized for religious, charitable, and educational purposes and to raise, generate, and solicit contributions in furtherance of this purpose. Douglas F. MacLean joins the board of directors of Lantern Foundation. Read more here. Rev. Fr. Emmanuel Lemelson on Fox Business News Varney & Co.